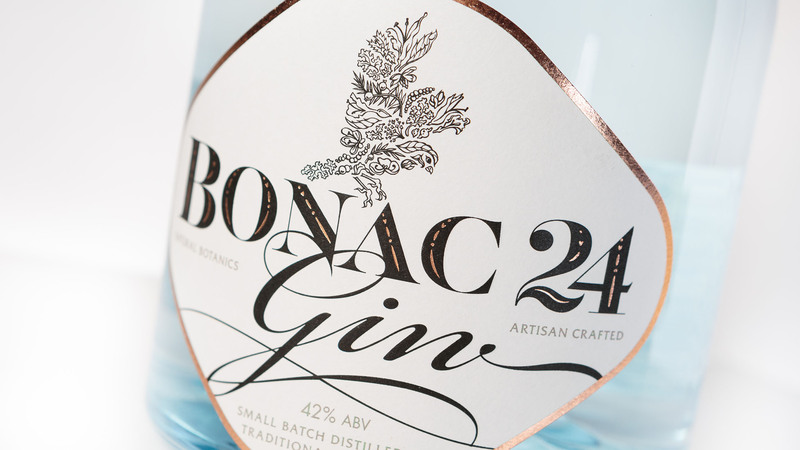 Our client, Gavin Clifford, had spent time working in bars in NYC and in the Bonac region in East Hampton, NY, where he got the idea to create his boutique distillery in Co. Wicklow, and his own small batch Gin. With many new Gins on the Irish market the challenge was to create a new Irish artisan Gin brand – one that would set itself apart from the many ‘me too’ Irish Gin brands being launched today, that reflected Gavin’s vision, and the sublime blend of natural botanicals. The gin also needed a name that reflected that vision, but that would also work as a ‘bar call’. The name that we came up with reﬂected Gavin’s ‘Gin’ journey – his time working in bars in NYC and in the Bonac region in East Hampton. We then developed an icon for the brand – a bird in ﬂight – to symbolise Gavin’s journey back to Ireland and we positioned the brand around the idea of ‘Dare to be Diﬀerent’. We crafted the story of the brand and brought it to life on the bottle. 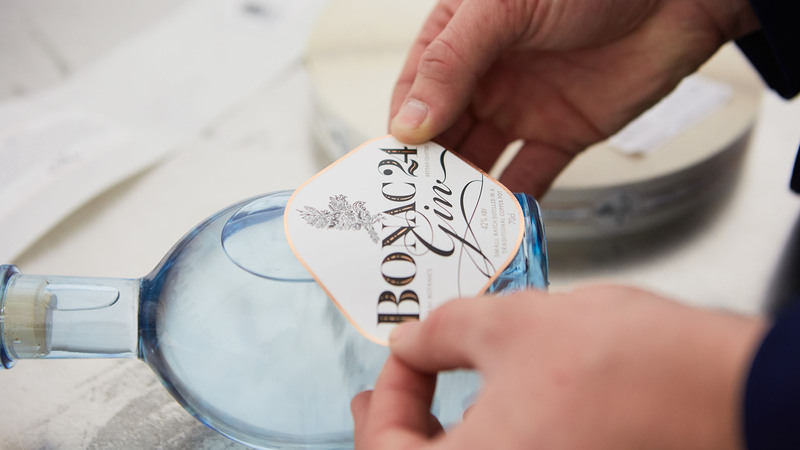 The pale blue glass reflects the purity of the gin as well as the seaside location of both the Bonac region, and the Irish coast. The hand sealed label and wooden cork reflecting the natural environments and attention to detail. The bird in flight illustration is made up of the natural botanicals that make up the sublime blend. 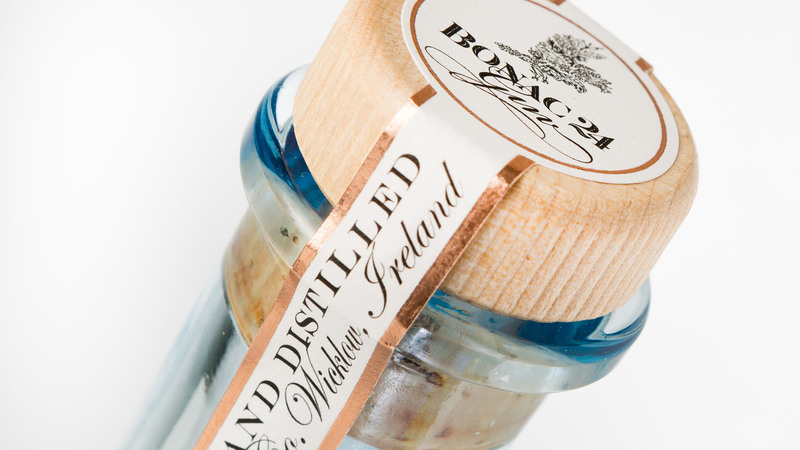 With a textured paper label and copper foiling to reflect the copper pots used in the distilling process, every detail of the bottle was finessed to reflect the quality of the gin itself. A flight of fancy made real.